When it’s time to fast forward your content marketing call Crystal Clear Communications. We work side by side with you to build a dynamic strategy, rev up your marketing and help you succeed. As old-school marketing loses its zip, more and more marketers are working to perk up results. Customers’ buying journey happens 2/3 online, and just 1/3 with sales. Will buyers find your content? Is your content strategic and powerful enough to carry buyers through the buyers’ journey — converting into customers and revenue? Bring you bold insights and inventive ideas. George Stenitzer was named Content Marketer of the Year by the Content Marketing Institute for thought-provoking content. Genuinely useful content wins. Buyers decide which content makes the most sense and delivers the greatest value. They’re looking for new ideas and answers to their questions. Buyers don’t want to be sold. They want to be helped. Strategic content provides ready answers to customers’ problems, questions and pain points – as identified by customers themselves, by sales and by customer service. First help, then sell. Good content starts with customers’ key questions and your solution’s relevant benefits. 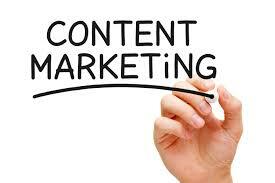 To deploy content strategically, analyze the buying process and offer exactly what customers need when they need it. Address the needs of buying decision-makers, as well as those of buying influencers, at each step in the buying process. That’s how you convert content users into paying customers. Crystal Clear Communications brings you inventive marketing that helps you succeed in meeting your customer and revenue goals. It’s time to fast forward your content marketing, call us at Crystal Clear Communications.